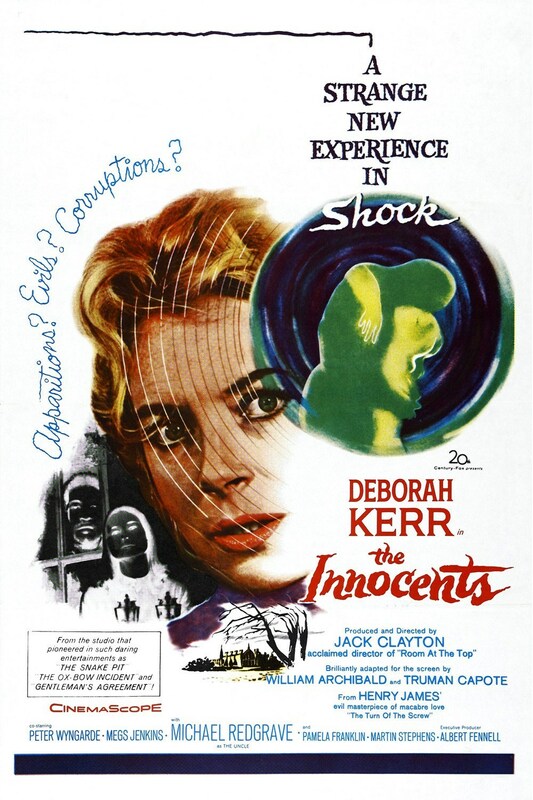 The Innocents (1961) Deborah Kerr stars as Miss Giddens, a governess in nineteenth-century England. She is solely responsible for the education and well being of two small children (Miles and Flora) in a remote Victorian mansion. When strange things start happening, which includes the childrens’ personalities changing, Miss Giddens begins to think the departed spirits of the former governess and her lover are haunting them. Are they really being haunted or has the governess given in to hysterics due to an overactive imagination?